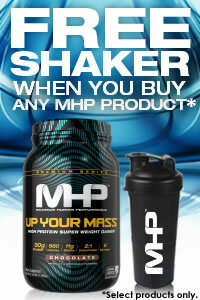 30 grams of Whey Isolate in Every Scoop! Whey Protein Isolate is coveted for its ability to digest almost instantly as it hits your stomach. 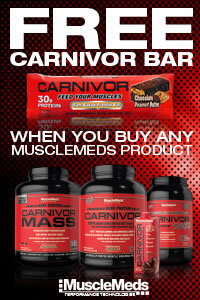 This gives your body a way to get in the necessary protein and amino acids it needs quicker than with any other source. This makes ISOTEAN™ the perfect solution for when you need protein FAST, such as when you wake up, before and after a workout, or when you need some quick nutrition on the go! Amino acids are the building block of muscle, and ISOTEAN™ lends a helping hand with a full 30,000mg of EAA (Essential Amino Acids), BCAA (Branched Chain Amino Acids) and NEAA (Non-Essential Amino Acids) in every single scoop! 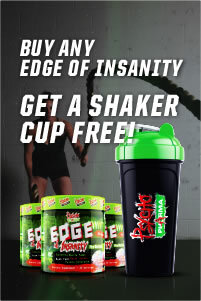 ISOTEAN™ was designed to be the most mixable and easy to drink protein shake on the market. Due to its Processed micro & Ultra-filtered, Ion Exchange, and Hydrolyzed manufacturing, ISOTEAN™ will mix up easily with a spoon, shaker bottle, or blender, never leaving you with a chunky mess! 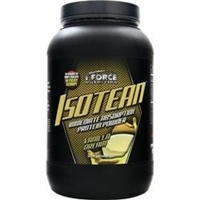 ISOTEAN™ has changed the Whey Protein Isolate game forever by offering rich, full bodied incredible tasting flavors instead of the watery gag-inducing flavors that Whey Protein Isolate has brought to the table over the past few years. ISOTEAN™ has its flavors laboriously worked on again and again until there is absolutely no doubt that it is the best tasting product on the market!